Although all of the Wolver novels are tied together in a series, and rightfully so, I love the fact that each book has a completely unique story. Each is brilliant in its own right, but this one is my favourite so far. It’s more intense than its predecessors. At the same time, it still has the romance and heartfelt feelings that come so naturally to Rhoades. With this novel Rhoades uses her phenomenal storytelling skills to turn a backwater town into a place where you want to go live. I feel like I was there in person rather than just reading about it. She evokes emotions in the reader in a way that is rarely seen. In less than a chapter I went from sitting on the edge of my seat scared, to crying, to laughing out loud. It was brilliant. Rhoades goes much more in depth regarding what being a Wolver means. She also shows the difference between the different types of packs and of Wolvers. Not only does this immerse you further and further into this phenomenal world, but it also brings you closer to the character. You really get to understand who these people are, where they come from, and where they’re going. Not only that, but the characters are fundamentally well developed as individuals as well. I appreciate the fact that although not everyone is a main character, no one is unimportant. The sense of acceptance and love between the characters is beyond words. With all of the building that Rhoades has done on Wolver culture and practices, it definitely leaves me wondering what she has planned for the next instalment in the series. Since these books keep getting better and better, I can’t wait! And now, enter to win 1 of 2 awesome eprizes. Thank you, Jonel, and bless you for you kind (and enthusiastic!) words. I'm going to take 'enthusiastic' as a complement again Jacqueline. Lol. Thanks for being here with us! Sounds like a story I don't want to miss - adding it to my Must Read list! I like the Alpha and Omega series by Patricia Biggs. I loved the series The Law of the Lycans by Nicky Charles, read all the books three times. It was my first introduction to the world of werewolfs. Thanks for the invitation and all the best. Thanks for stopping by everyone, and Good luck! 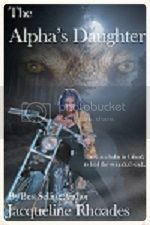 This is by far one of my fave shifter series. The books all sound very exciting. I love to read about shape shifters. Good luck to all who enter! Thank you Jonel and Jacqueline. Looks amazing;) Good luck to all in the contest! Great review! I'm definitely going to start this series. Thanks for the giveaway. I really like the Mercy Thompson series. I love the Mercy Thompson series as well, but anything Milly Taiden writes is pretty damn awesome! That is a hard question! I will have to say my favorite is either Feral Sins by Suzanne Wright or Big Bad Bite by Jessie Lane! :) I can't wait to read this series too! Hmm fave would be hard to say.great review, thx for the chance to win! Maggie Stiefvater's Mercy series, I think. Thank you! Giveaway sounds AWESOME! Per the question... my favorite werewolf/wolver story? Hmmmm.... maybe one of the Cascadia wolves (Lauren Dane)? Wow I havent heard of this author or series thanks for sharing. Sound like something I need to read. I just started reading Were/Wolves series so I dont have a favorite one right now. Thanks for letting me know about these books!! !